The valley of Setesdal in southern Norway stretches from Evje in the south to Hovden in the north, a total of 147 kilometres. The river Otra flows through every village in this picturesque valley. The landscape varies from rich, green lowlands to wild and beautiful mountains. The road passes through many villages; new vistas await you around every bend. Choose peaceful days relaxing by your cabin, swim in the lake or raft the foaming rapids. Enjoy the wonderful hiking terrain and numerous other attractions. In winter the two northernmost municipalities offer a wide range of activities. The Brokke Alpine Centre is situated in Valle while Hovden, in Bykle, is the largest and best-known winter destination in the valley. Explore this interesting area only one hour by car from Kristiansand. 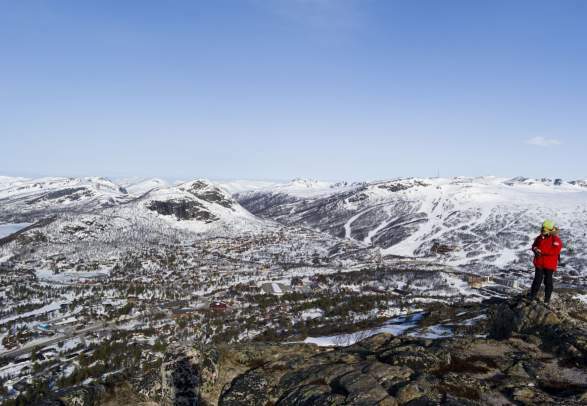 The gateway to Setesdal offers a number of activities and is also renowned for its minerals. The lake Byglandsfjord is 34 km long and is part of the river Otra. This gives wonderful recreation opportunities in idyllic surroundings. Enjoy one of the beautiful beaches along the lake. Valle and Rysstad are good places to stop and enjoy the surroundings and the local culture. There is plenty of space in the Valle area, with 1,300 inhabitants in 1,290 square kilometres. Between towering mountainsides, along the river Otra, people have settled for centuries.